Microsoft Garage rolls out Personal Shopping Assistant extension for Chrome browser. Microsoft Garage today released a new Chrome extension called Personal Shopping Assistant. It is designed to automatically capture and save product information from product pages you browse. After downloading the assistant, simply shop online with your chrome browser as you normally do. 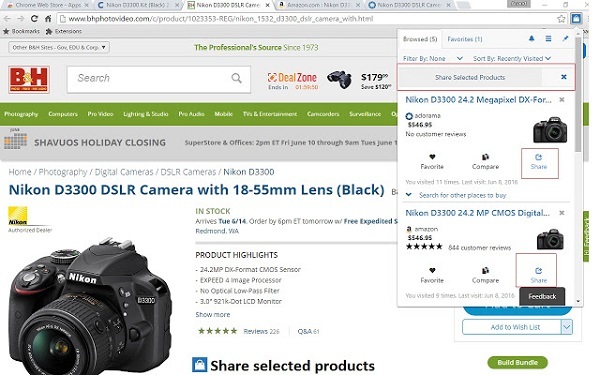 Products you browse will automatically start appearing within the assistant, under "Browsed". You can additionally save products you love to "Favorites" and get notified when their prices change.